The medieval Tuscan town of Colle di Val d’Elsa, in addition to its stunning views, creates 94% of Italy’s crystal and is responsible for 14% of crystal production worldwide. Big names like Tiffany, Steuben and Corning Ware entrust their production to crystal producers in Colle to meet exacting standards. Thanks to a long tradition, a number of crystal makers still produce pieces of historic quality. A consortium unites a number of small-scale artisanal businesses and crystal manufacturing companies, several of which can be visited. One of these is Colle Vilca, located in the industrial outskirts of the town. 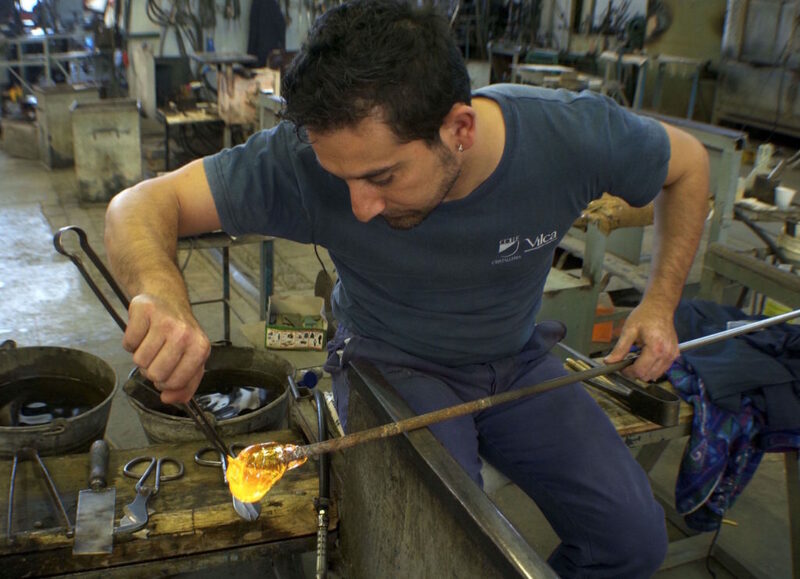 Vilca is a family owned and operated firm currently under the guidance of Giampiero Brogi, whose father had worked for a number of years at Waterford Crystal in Ireland. Today, the company showcases masterpieces made on premises, thus maintaining the local tradition. Colle Vilca produces both typical stemware and pieces designed for specific wines, as well as decanters, oil bottles and a myriad of decorative pieces including Christmas ornaments. The work is done a regola d’arte, that is, time honored. A tour of the workshop allows visitors to glimpse a process that seems carefully choreographed with touches of improvisation. Men fetch glowing orange globes of molten glass with a rod from an oven burning at a fiery 1500 degrees Celsius. The globes are then rolled, cooled with water, blown (the craftsman can lights his cigarette with the flaming globe) and molded into a stunning piece. The process, however, is nowhere near complete. The object it is placed is an oven where it is heated and passed onto the quality control section via conveyor belt. Ideally it should have 24% luminosity and be free of blemishes and air pockets. If the item passes inspection it goes on to refinement, otherwise the glass is melted down and used again later. What does pass the quality check goes on to be engraved. Decorations are added by diamond cutting. The final crystal products are either exported, sold on premise, or exhibited in the local Consortium showroom in Colle Alto. 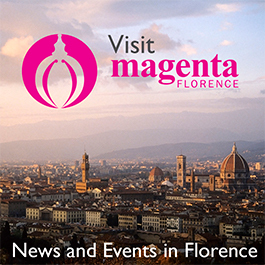 In Tuscany there is an immense respect for the work of artisans, as it is a large part of the local patrimony and history. Like the many other forms of art that Italy is known for, crystal comes at a high price, but part of the price is the guarantee of the best value.